Today, concerns of personal safety and property protection can lead to sleepless nights and insecure feelings. You need a home security solution that protects your family, home belongings, provides peace of mind and suits your lifestyle, yet offers the best protection available. At Apollo Security Group (ASG), we partner with you to provide confidence in protecting your most valuable possessions: your family, your home, your life. Our commitment to you and your family starts when our sales representative performs a comprehensive evaluation of your security needs, surveying your home and planning the best possible solution. Contact ASG now to learn, with no obligation, how we can put your mind at ease. Offering state-of-the-art services for intrusion alarms, central station monitoring, video surveillance, remote systems control. ASG provides essential confidence and peace-of-mind. The implementing of an alarm system is the first step toward comprehensive, reliable protection. Following a simple installation process, your alarm system will be monitored 24/7, giving you comfort in the knowledge that your property and valuables are protected. With our home monitoring services, you are assured that trained security agents are on-watch 24/7 from an attentive central station. Central station monitoring will alert you of intrusion, fire, and carbon monoxide and provides emergency police notification. If your alarm signal is activated, an agent will respond instantly, alerting the appropriate area authorities and staying in communication with you until help arrives. With the increases in vandalism, property damage, and home invasions, video surveillance systems have become the fastest growing security solution available. Using closed circuit television technology (CCTV), or IP network video surveillance, you are able to maintain control over your property to ensure high levels of security. 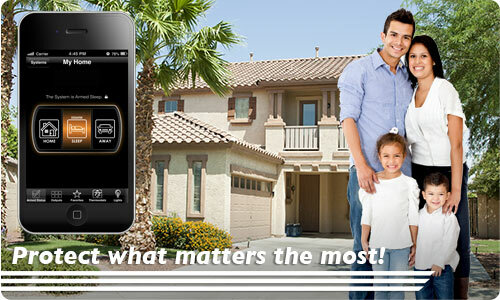 Apollo Security Group Inc. is committed to protecting your home, your valuables and your lifestyle. Enjoy the peace of mind in knowing that a locally-owned company is watching over your home 24/7. 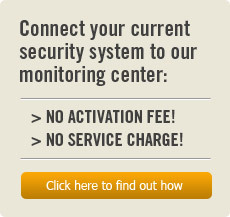 Learn more about our Residential Security solutions by contacting Apollo Security Group today. Call 623-463-6300 now, or fill out our contact form and we will respond promptly.